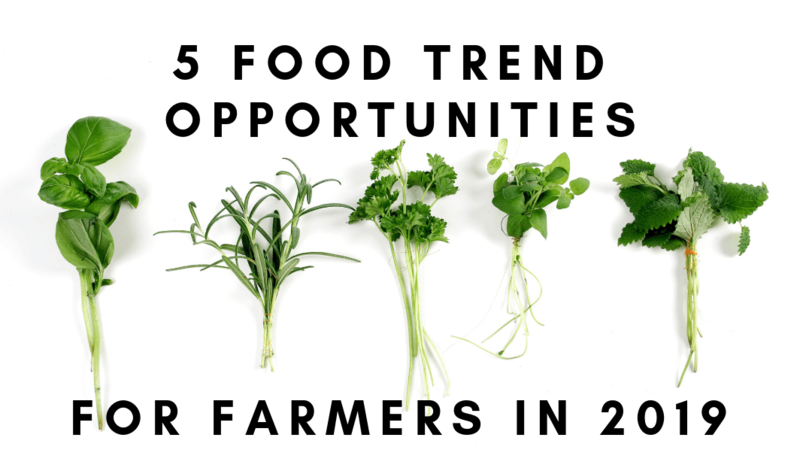 Retail and restaurant sales are an opportunity for farmers and food businesses to increase sales volume and revenue, while building brand awareness in the local marketplace. But selling farm products to retail buyers isn’t as easy as showing up with samples. Before approaching grocery store and restaurant buyers, farmers must understand the market, obtain required insurance and certifications, and comply with industry standards for packaging and labeling. Visit the grocery store(s) you wish to sell product to. Survey the store’s current products, customers, promotions, and pricing. Pay special attention to similar products that your products will compete against, noting the price range. Typical retail mark-up is 40%; if the retail price of fresh asparagus is $2.89 per pound, the grocer paid about $1.73 per pound. Enjoy a meal at the restaurant you wish to sell products to. Look for language or signage that promotes local sourcing. 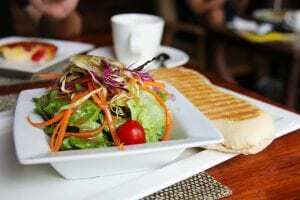 Notice fellow diners- will your products appeal to the restaurant’s typical customers? Review the menu and consider if your products are a good fit. Make note of prices on the menu. Restaurant industry food costs average 30-35%, depending upon the style of restaurant. Retail and restaurant buyers may require vendors to maintain a level of product liability insurance, worker’s compensation and/or other insurance policies. 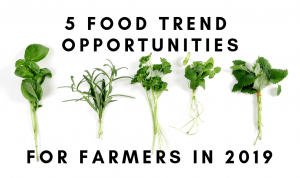 Grocers may require vendor farms to be Good Agricultural Practices (GAP) certified. Buyers will appreciate a copy of your farm’s food safety plan, and an invitation to perform an on-farm food safety inspection. Be prepared to provide buyers with documentation proving your products are USDA Certified Organic, Certified Natural, Verified Non-GMO, Animal Welfare Approved or other specialty certifications. You may need to explain terms like “grass-fed”, “pasture raised”, “natural”, “antibiotic free”, and how those terms can be used to market products to customers. Grocery stores and restaurants require product to be delivered in packaging that complies with industry standards. Packaging may need to include USDA or industry grading, sizing and quality standard information. Understand legal regulations for labeling retail products, including Country of Origin labeling, USDA inspection seals, label claims, weights and business contact information that allows for product traceability. Many grocers require a price look up (PLU) or universal product code (UPC) label. Farmers that understand the market, obtain required insurance and certifications, and comply with industry standards for packaging and labeling, can approach buyers with confidence! The first successful sale is the start of a long-term mutually beneficial buyer-seller relationship. Need help getting ready for retail? Join the Ohio State University Direct Food and Ag Marketing Team for MarketReady Producer Training. Register: Contact gardner.1148@osu.edu or 740-289-2071 ext 132 by October 30th. 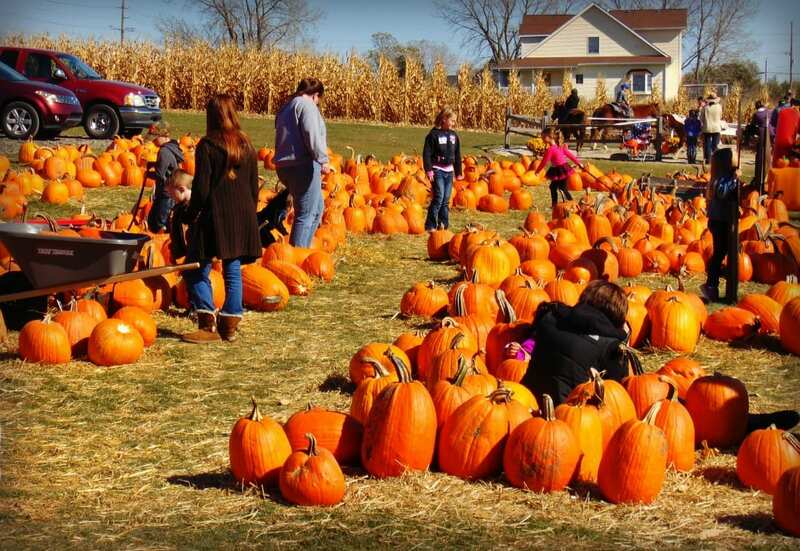 Apple orchards, pumpkin patches, corn mazes and hay rides — agritourism is an opportunity for farmers to diversify operations, add a new stream of revenue, and finish the season in a strong cash position. That is if the event is well attended. Advertising creates awareness and invites agritourists to attend your on-farm event. It is the difference between putting on a profitable event and facing a stack of bills and a field of rotting pumpkins. Here are 10 ways to advertise your agritourism event for free! Facebook Event. Facebook is an online platform that connects friends, families and communities. Users can create a Facebook Event for free and invite people to attend. To create a free Facebook event, login to your farm’s Facebook business page, click events on the left menu bar, then press the + Create Event button. Add a picture and description of the event, including date(s), time and location. Mark the event as public. Public events appear in Facebook’s calendar of event listings and allow users to share the event with their networks. Facebook Groups. Facebook Groups allow people with common interests to connect online. Community-based groups exist to share news, sales and recreation. Post and promote your agritourism event in Facebook Groups for free. Find local Facebook Groups by searching city and state in the Facebook search bar and selecting Groups. Community calendar. Many local newspapers publish a weekly events calendar and also host an online community calendar on their website. Contact the newspaper to add your agritourism event. Organizations and clubs. Community organizations and clubs such as the YMCA, Girl Scouts and Boy Scouts, civic clubs and ministries make good partners to promote family-friendly events. Consider donating a portion of profits to the organization or club in exchange for promoting your on-farm event to members. Tourism display. Area hotels and motels, visitor centers and local restaurants maintain displays of tourism brochures to help visitors find local fun. Ask permission to add your promotional materials. Community board. Local businesses and libraries showcase events on community boards. Ask to post a flyer. Press Release. Write a press release about your agritourism event. Submit the press release to local publications. Free press release templates are available online. Newspaper story. Journalists love story ideas, especially when ideas focus on the community they serve. Contact local newspaper staff and suggest a story about your farm. Perhaps your farm has been in the family 100 years, sells to residents at the farmers’ market, or donates fresh food to the local food pantry. A story is a great way to share your farm story and promote your agritourism event. Chamber of Commerce. Chambers host a network of local businesses and community organizations. They can help you identify cross-promotional opportunities with other businesses and organizations in your area. Visitor Bureau. Some visitor bureaus offer grant funding to promote events that increase tourism in the local area. You can utilize grant funds to print professional brochures, signage and other promotional materials for your agritourism event. Contact the visitor bureau to inquire if a marketing assistance program exists in your county. Join Us Friday 3/23 to get MarketReady! MarketReady training is headed to SW Ohio! Learn how to evaluate and navigate various market channels, and establish an effective business strategy for your farm products.